note: 7-14 this listing is hopelessly out of date. We need a foodie to review all the new restaurants downtown Some restaurants updated 7-17. Excellent food, great atmosphere and perfect location!!! Best restaurant in Santa Ana!!!! Perfect Saturday stop for craft beer & delicious food. This is how coffee should be done. You will immediately be drawn in by the rich bold smell wafting out of HHC. Give it a try, you might just replace your starbucks run for a HHC run. Hip downtown hangout in the Pacific Building. a great place for weekend breakfast! lame website but good wet burritos. still do catering and events. Give 'em a try! your webmaster's favorite Mexican restaurant. read the Christian Z review (with pictures). The BEST pizza plus they deliver to Washington Square. If you're thinking about Domino's or Little Cesar's STOP & call Buccaneer. More expensive but worth it!! "Put Some South in Your Mouth"
more upscale than the original and a fusion menu with great flavors. The Newport Center location is a great getaway. Great Seafood, Don't Look Up Here! considered by someone to be one of OC's best restaurants, although pricey. on a hill above Chapman Ave. The home of big food. Great salad bar though. legendary ice cream but good sandwiches too. For the most up to date listings and reviews of restaurants, Yelp is hard to beat. Write a review!Now's your chance to be the next Elmer Dill or Merril Shindler. 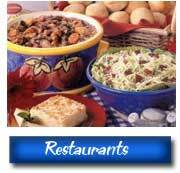 Do you have a favorite restaurant you want to share with your neighbors? Or maybe one you want to warn them about? Send us your reviews with photos and links if you desire. We'll post them for everyone's enjoyment. Please limit your reviews to restaurants within 5 miles or so of Washington Square. Send your favorites to: webmaster@washington-square.org.